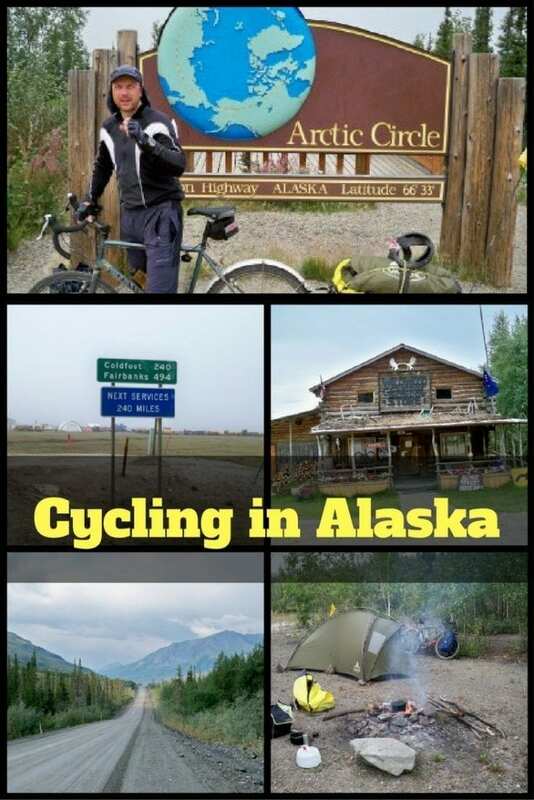 Practical tips and advice for cycling in Alaska based on my own bike touring experiences there. 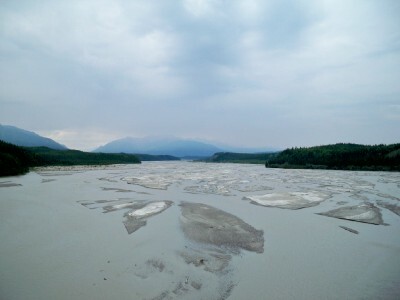 Links are included to blog posts written during my Alaska bike tour. It was back in 2009 that I was last cycling in Alaska. I suspect that not a great deal has changed. It's a big place, it's cold, and there are only a few main roads. It's also an outdoor adventurers paradise, and a great destination for bicycle touring. If plenty of wild camping, challenging terrain, and a sense of remoteness are your thing, you're going to love an Alaska bike tour! As my experiences of cycling in Alaska followed a route from Deadhorse, through Fairbanks, and on to Canada, I can't comment about Denali, perhaps Alaska's most famous national park. Instead, all the information here was gathered whilst cycling along what is known as the Pan-American Highway. If you do want to find out about other parts of Alaska though, this 10 day itinerary for Alaska is ideal further reading. For this cycling guide, I've broken the information down into sections I think you will find most relevant if you are planning a bike tour in Alaska. For other questions relating to cycling the Pan-American highway, you might want to check out this blog post. Looking for my day to day bike touring blogs for the Alaska section? Take a look toward the end of the article. Unless you specifically want to cycle Alaska in the snow (and some people do with their fat bikes and spike tyres), there's really only a narrow window of time to choose from. Without going into too much analysis here, June and July are your two best months to choose from. If you are cycling south on a Pan-American cycling trip, then June is probably the best of the two. Even in June, you can still expect the odd cold night up in the north. Although I never experienced any, my guess is that snow might also be randomly possible, especially given how crazy the planet's weather is over the last few years. Weather wise, rain can always be an issue, and some of the rough roads turn to sludge when this happens. If you are cycling in Alaska in June, you will also experience the phenomenon of 24 hour sunlight. It goes without saying that the further north you are, the colder it becomes, no matter what time of year you are there. Private rooms in motels and hotels are not cheap, and especially so in Deadhorse. Hostels are an affordable option, and the Warmshowers network has several kindly hosts in the state. Couchsurfing is another way to go. Really though, camping is going to be the number one choice when bike touring in Alaska. You can choose from official sites, or wild camp in the more remote areas. Wild camping will also help you to reduce costs when bike touring – something most cyclists on the road for any length of time are keen on! When planning your cycling route in Alaska, you may have to consider how much food to carry with you. There are several stretches of road, where it is advisable to carry 2 or 3 days worth of food. If you are budget conscious, you might want to carry more, as prices are obviously higher for food the further away from civilisation you get. Don't expect a full range of groceries in small settlements and towns. Sometimes it's just a case of eating what's there. Here's some suggestions of what food to stock up on for bike touring whenever you get to a bigger place. 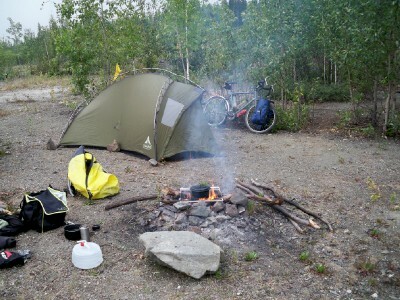 Taking a cooking stove is a good idea for people planning to cycle Alaska. Water is available from lakes and rivers, although will need to be filtered before drinking. Tap water is potable, but it's worth checking first. In the more remote areas, it's worth thinking ahead in order to work out how much water to carry. Carrying a water filter is a good idea when biking in Alaska. I've reviewed a bottle with water filter here I currently use for bike touring. It's going to pay to be reasonably self-sufficient in terms of spares and tools when cycling in Alaska. 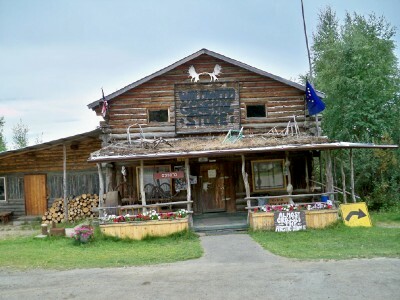 Outside of Anchorage and Fairbanks, you won't be seeing a bike shop. A bicycle tool kit like the one below should cover most situations. 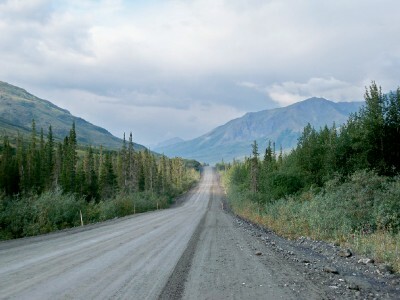 There's a mix of roads to experience when cycling in Alaska! 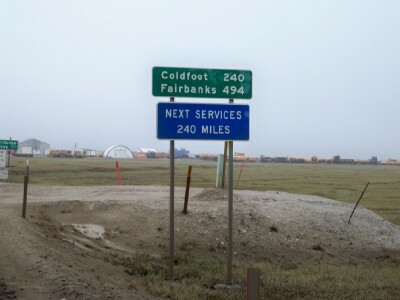 Perhaps the most notorious, is the Haul Road or Dalton Highway. This is an unsealed rough road with a number of hill and mountain passes. Having a bike capable of cycling along rough roads is definitely going to help! Back onto the sealed roads though, and cyclists will find the roads relatively smooth, with a slight shoulder to use, and little traffic. Roadworks can (or at least were) an issue from time to time. The two main dangers and annoyances when cycling in Alaska are bears and mosquitoes. And to be honest, I'm not sure which one annoyed me the most. Probably the mosquitoes actually. They were vociferous, and seemed to collect in huge gangs, waiting for me to leave the tent in the morning! I saw bears a couple of times, but took all the correct precautions in terms of keeping food away from my tent etc. I also carried some bear spray which I never used, and discarded at the border with Canada. If you have any questions about bike touring in Alaska, or would like to add some information, please leave a comment below. It would be great to hear from you! I live in Wasilla Alaska. The wife and I just finished our tour across the “lower 48” in August of 2018. What type of bike would you recommend for the length of alaska >> argentina? I have a full suspension trial bike but considering swapping out for either a fatbike, or a proper touring bike. Plan to do a mix of road / off road cycling. As with many things to do with bike touring, the answer is ‘it depends’. I think unless you are completely dedicated to finding every dirt track between Alaska and Argentina, and have years to spend on the trip, then a fat bike is probably no good. A full suspension bike is going to make touring a little slower when on good roads, and perhaps you won’t have fixing points for racks – a trailer of ‘bikepacking’ setup might be an answer. Your advantage here is you already have it of course. A ‘proper’ touring bike would be my preferred choice. One built well enough to handle dirt tracks as well as plenty of hills (and there will be lots!! ), good gearing etc. Do you recommend a bear canister for food or dry bag would do ? I didn’t use a bear cannister. I used a combination of leaving food away from my camp, on-site bear boxes and hanging the food in a tree with a rope and a bag (when the trees were tall enough). Totally your choice of course – whatever you feel most comfortable using! Hi there Dave, in June I’m starting an identical trip to your Alaska to Argentina trip, do you remember the cost of the bus to deadhorse? Sorry I can’t remember the price, and I’m sure it would be very different now! The other option which is worth considering by the way, is to ride up to Deadhorse, and then try to hitch or even pay a truck driver for a ride back down. Just a thought!